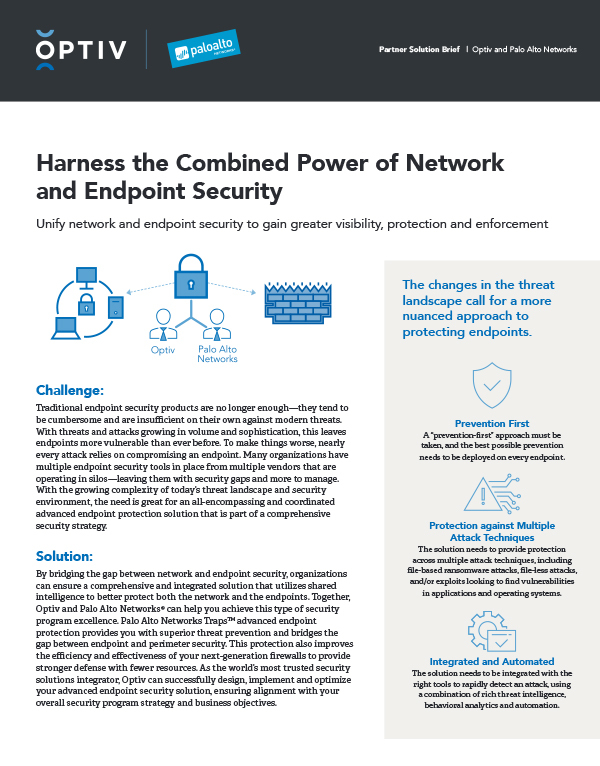 By bridging the gap between network and endpoint security, organizations can ensure a comprehensive and integrated solution that utilizes shared intelligence to better protect both the network and the endpoints. Together, Optiv and Palo Alto Networks® can help you achieve this type of security program excellence. Palo Alto Networks Traps™ advanced endpoint protection provides you with superior threat prevention and bridges the gap between endpoint and perimeter security.